At Overhead Door Corporation, our motto is “The Genuine. The Original.” That’s why we offer complementary hardware and decorative garage door windows to help customize the one-of-a-kind look of your home. 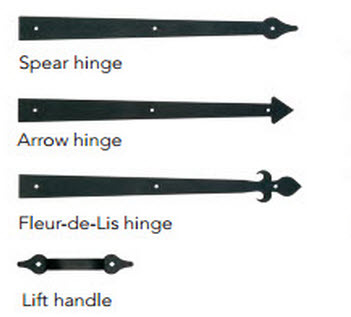 Further individualize your garage door with our unique exterior handles and hinges. 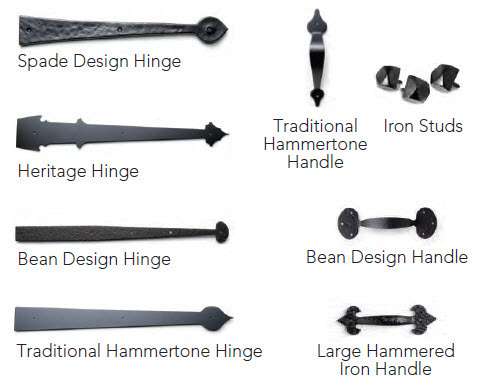 Impression Collection® and Courtyard Collection® offer both the value and premium decorative hardware options. Traditional Steel garage doors and Thermacore® garage doors (flush panel and V10 panel designs) offer the value decorative hardware. Carriage House offers its own options for hardware. 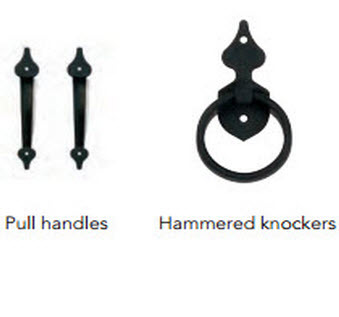 Signature® Carriage offers its own unique set of hardware options.